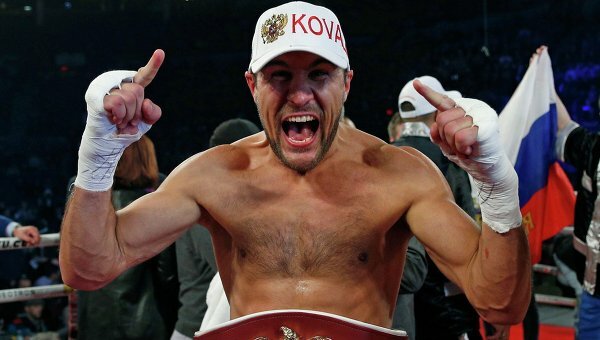 Fearsome Russian puncher Sergey Kovalev is aiming to once again strike fear into the hearts of his opponents as he recovers from a physically and reputationally damaging pair of defeats to Andre Ward. Having disposed of trainer John David Jackson, Kovalev will need to eliminate the bad living that has become increasingly responsible for his lack of staying power and whip his body back into fighting shape if he is to unify all of the silverware in the 175-pound weight class. In the second fight once again the ending was dubious. There’s no doubt that Kovalev was flagging and Ward coming on but the low blows, coupled with referee Robert Byrd’s bizarre handling of the stoppage, left a sour taste in the mouth. Up until the finishing flurry in what turned out to be the final round it had been a competitive contest and the ending was unsatisfactory, in my view. Stylistically, Ward offered up a variety of conundrums for Kovalev to solve and Sergey had difficulty getting past them in the final rounds of the first fight and agan at times in the second bout. The same cannot be said for Kovalev’s comeback opponent after Ward, California-based Ukrainian Vyacheslav Shabranskyy, who was made to order for the big Russian. A slugger that comes forward in straight lines with bags of enthusiasm, a big punch but leaky defence, was the perfect foil for Krusher in their November, 2017 clash in New York. Kovalev boxes an opponent cut from the same cloth on March 3 when he returns to the Big Apple to clash with fellow Russian Igor Mikhalkin. While ‘Kova’ defends his WBO light-heavyweight crown, also on the bill Dmitry Bivol takes on Sullivan Barrera in a mouthwatering WBA clash which would surely see the winner of both fights meet one another after this. German-based Mikhalkin is two years younger than Kovalev at 32 and boasts a 21-1 record but only nine knockouts indicates he is unlikely to cause Kovalev too many issues. Igor’s best win came in early 2017 over unbeaten but limited South African Thomas Ooosthuizen and this bout will represent a hefty step up in levels. Much will rest on Mikhalkin’s ability to take a punch as to whether he can last the distance. The former EBU light-heavyweight king is ranked number seven by the WBO but he has not been brought in by Kovalev’s manager Kathy Duva to win the contest. Provided Kovalev gets past this latest test then he will be in line to face the winner of the aforementioned Bivol-Barrera scrap. Now that’s a fight that, if successful, will go a long way to erasing the ghosts of Andre Ward.